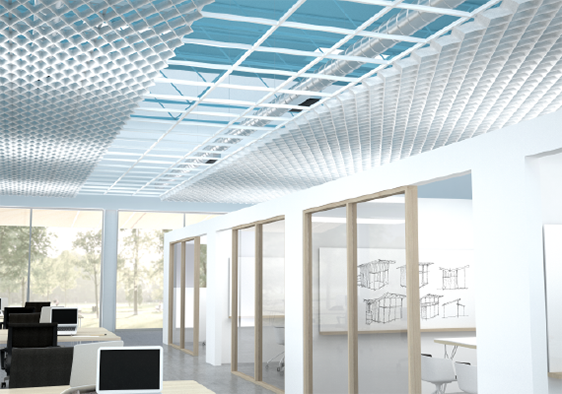 Elevate your overhead space with new easy-to-install modular ceiling solutions. 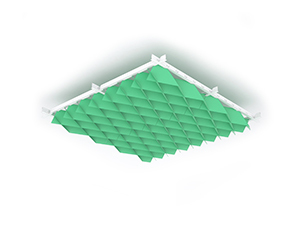 3form recognizes the untapped potential of overhead space with a new series of modern, highly-functional ceiling features. 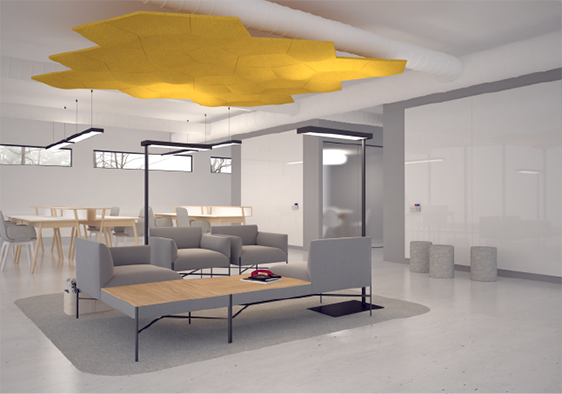 Eye-catching forms combined with acoustic solutions enable designers and architects to re-imagine overhead spaces as never before. 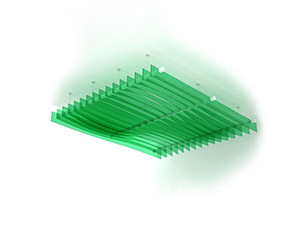 Create a quieter, more comfortable environment with this modular acoustic system. 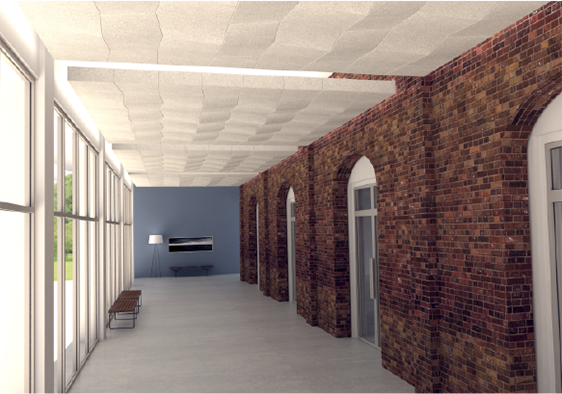 Transform an overhead space with the soft texture and geometric pattern of our award-winning Clario baffles. 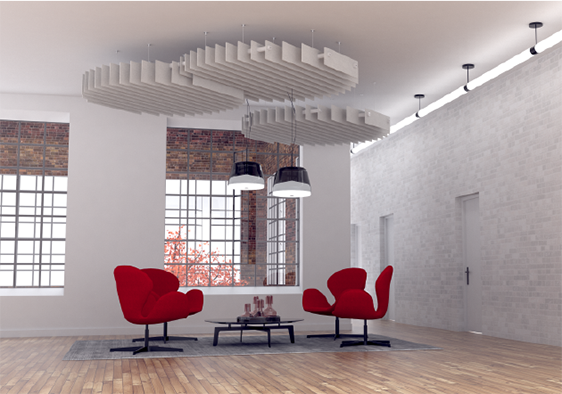 Combine, mix, and rotate these sound absorbing tiles in decorative patterns to define your space. 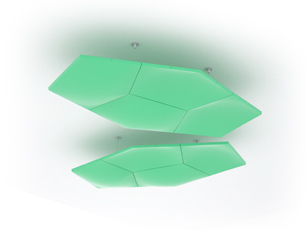 Turn your overhead space into a work of art with Velo, a suspended ceiling system made up of modular pentagonal tiles. 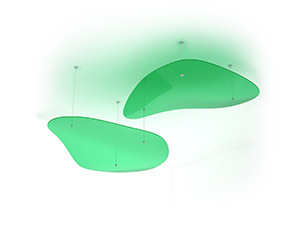 These suspended large-scale designs in various heat-formed patterns define a space and diffuse sound. 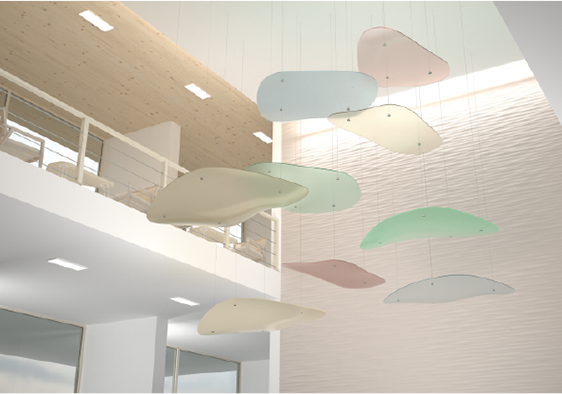 Made up of decorative modular fins, the Edge system evokes a sense of movement and rhythm with undulating colors and forms. With SimpleSpec we have simplified our product offer so you can focus on what matters most, the design. First, choose your solution, then select a color or pattern design to create your signature. 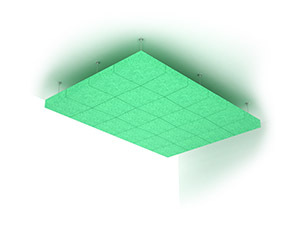 Customize and preview your ceiling solutions with our online design tools. 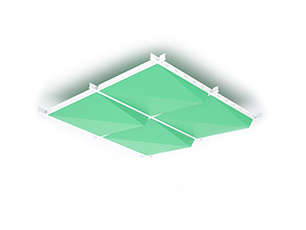 Choose your feature, material, and colors to quickly determine pricing. 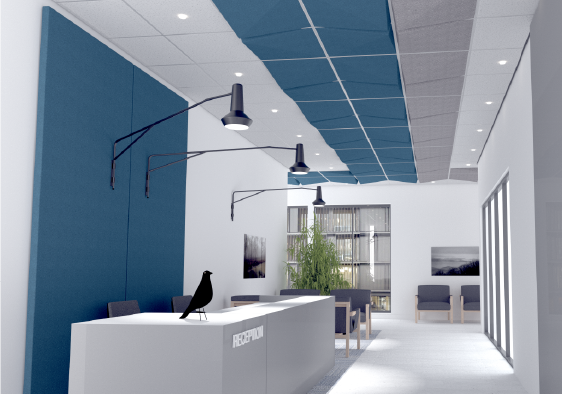 Easily finalize your design by downloading images and specification documents.